Day of Valour 56 was held this past Saturday at the Hobby Kingdom in Burlington Ontario. It was a 50pt Steamroller, 2 list Divide and Conquer, using the Steamroller 2015 Beta rules (which we can’t publish so don’t ask us. Ask your local PG and they can tell you about it). About 16 players were expected but 27 showed up. 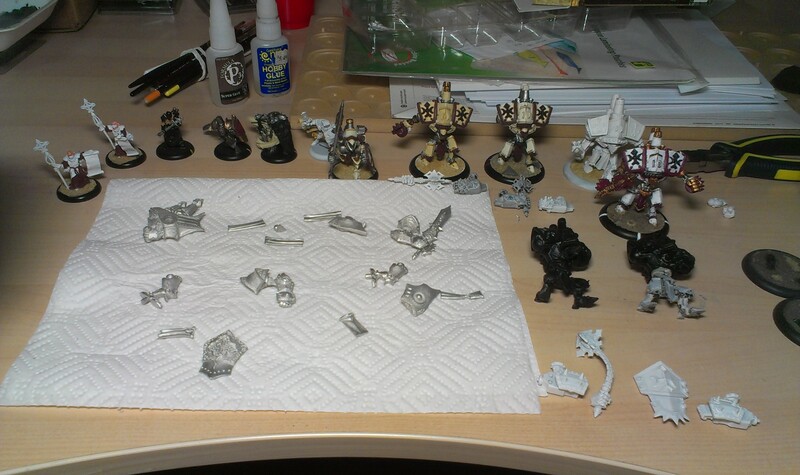 What ensued was a long day with lots of quality Warmachine. So, I’ve decided that I need to finally assemble my Avatar of Menoth… it’s a fantastic warjack, and my only complaint against it has been that the model itself is ugly. Thankfully, my friend Darrell has a beautiful modification on the Avatar, which looks fantastic and encouraged me to try and do my own!